I am old enough to remember the 1977 Captain and Tenille hit song “Muskrat Love,” but inexperienced enough with muskrats not to know if the one that I photographed yesterday is a male or female. I’ve had the chance to get photos of muskrats in the past, but the muskrat has always been swimming in the water or had been a long way away. Yesterday I came across this as he was eating no more than six to eight feet from where I was standing. I had my long telephoto on my camera and had to back way down from the 400mm end of the zoom to get this frame-filling shot. I should have been able to get more good shots, but I didn’t notice at the time that my shutter speed was approximately 1/100 of a second and most of my images are blurred. It’s ironic that I had the chance for a close-up at a moment when I had replaced my image-stabilized lens for one with greater reach (but no stabilization). 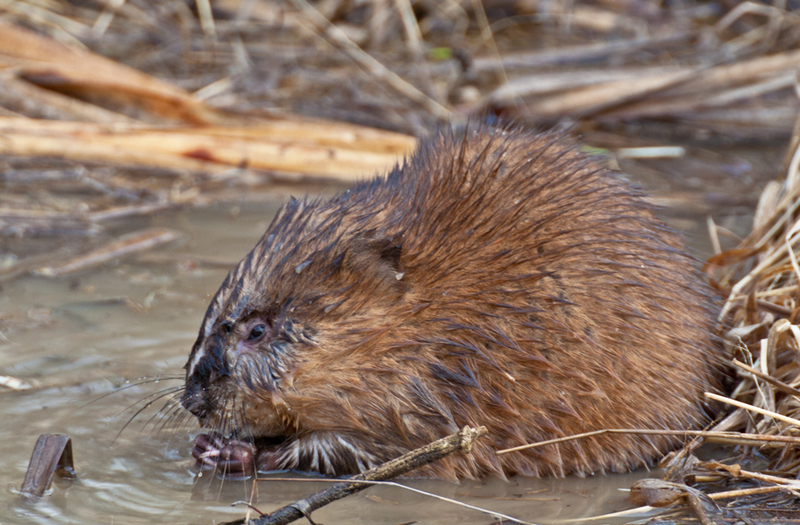 Still, I got a pretty good shot that captured many of the muskrat’s details, so I am content (until the next time). 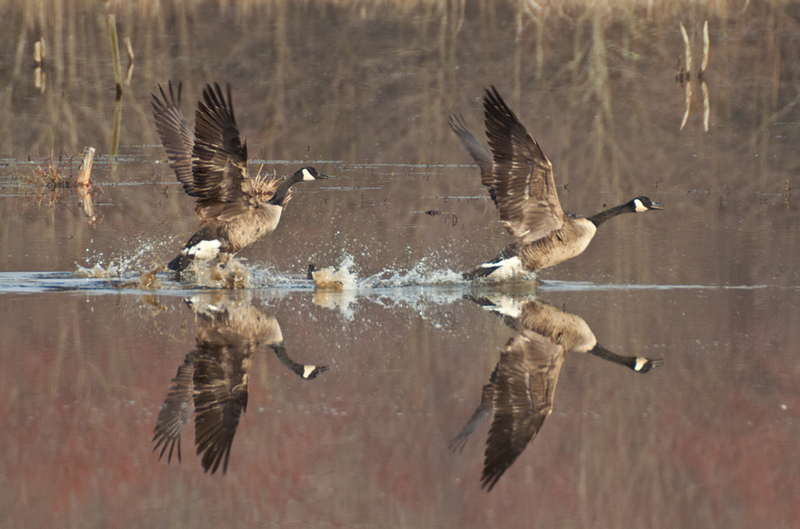 At a moment when the lighting was particularly beautiful yesterday morning, I sensed that the pair of geese was getting ready to take off from the pond. I readied myself and somehow my timing, composition, and focus clicked together with my shutter. I ended up with some images that required almost no adjustments or cropping. 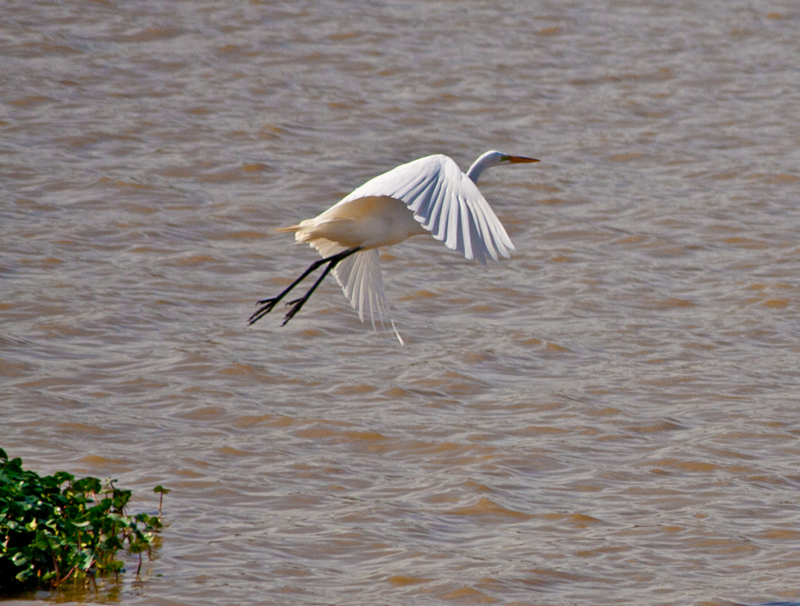 I was particularly happy, because I have been experiencing difficulties capturing motion with my newest lens, a Sigma 135-400mm telephoto zoom. 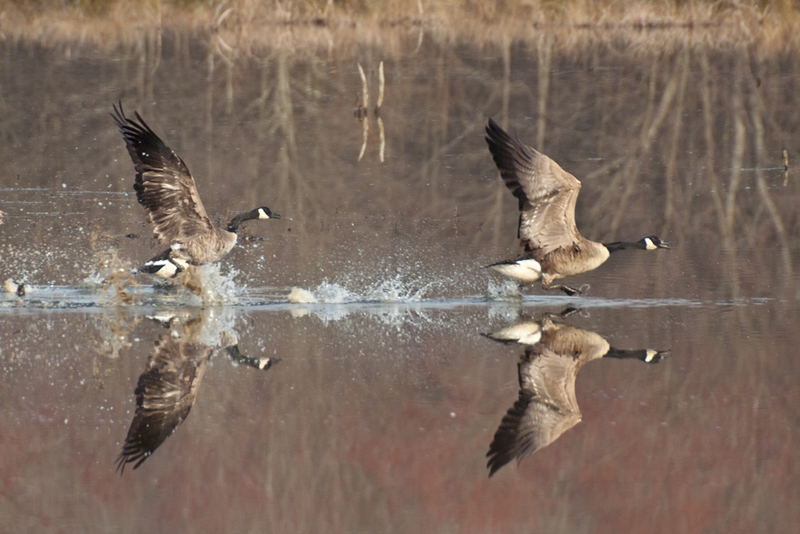 Luck played a big role too, since I had no control over the way that the geese would move their wings (though I guessed correctly the direction in which they would take off). 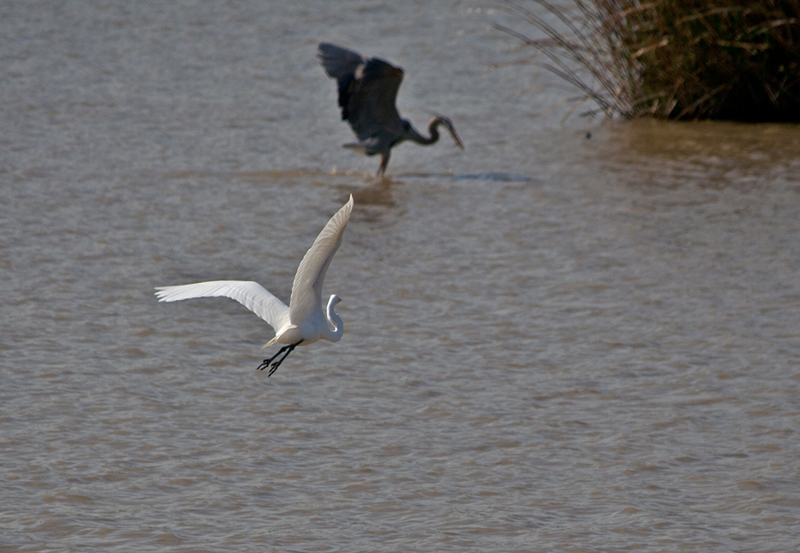 I took this series of photos a couple of weeks ago, when I was in Augusta, Georgia, at the Phinizy Swamp Nature Park. 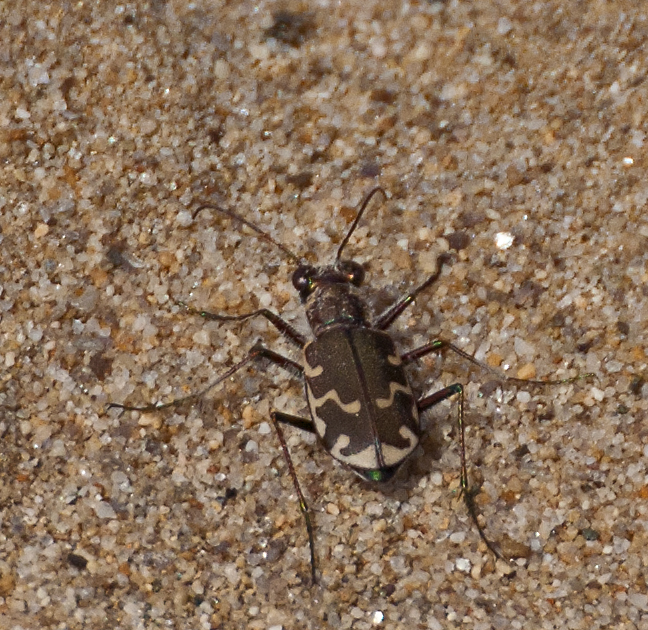 Yesterday while walking along the banks of Cameron Run, a tributary stream of the Potomac River, I encountered this unknown insect. I have been so starved for insects (photographically-speaking, not literally) that I decided I had to try to photograph it. The insect was pretty small and would fly (or hop) when I approached, so I decided to give it a shot with the lens that was on my camera, a 135-400mm telephoto zoom. I was pleasantly surprised with the resulting photo, which almost looks like it was shot with a macro lens. I will try to identify this little insect, but am happy with the shot and am now convinced that spring is here if insects are reappearing. The setting and the perspective were not completely natural, but somehow I ended up with an image of a female Northern Cardinal (Cardinalis cardinalis) that I really like. I ran across this cardinal almost two weeks ago when I was just starting my exploration of the Phinizy Swamp Nature Park in Augusta, Georgia. 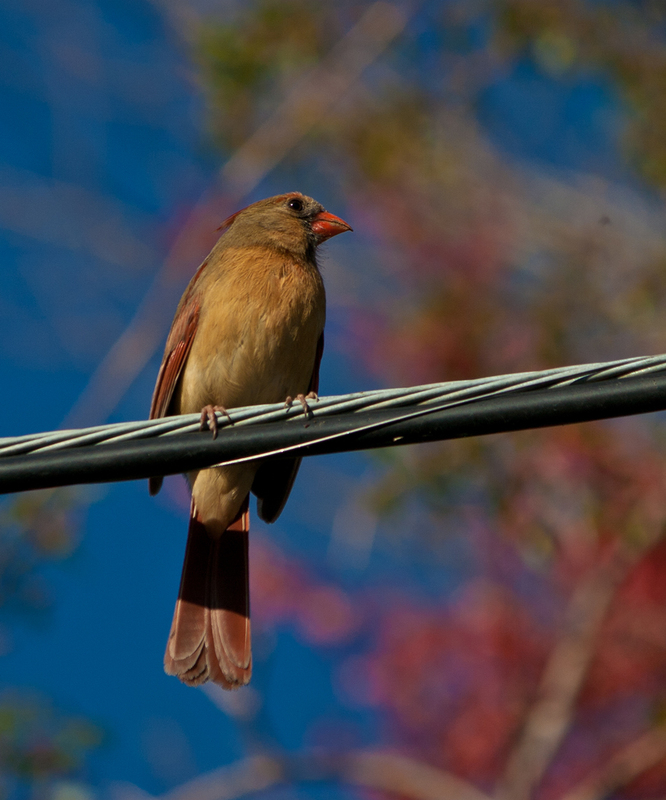 She was perched almost directly overhead on a wire and seemed to be warming herself in the rays of the morning sun. It was the start of a beautiful sunny day and already the skies were blue. Georgia was already well into spring and you can see some of beautiful colors of the flowering trees in the blurred background. I managed to get the facial area of the cardinal in pretty sharp focus, which contrasts nicely with the background. It won’t be long before we have flowering trees in Northern Virginia, where I live, but at least we have daffodils in bloom to remind us that spring is finally here. I am finally posting some more photos of the Nine-banded Armadillo (Dasypus novemcinctus) that I spotted a couple of weeks ago when visiting the Phinizy Swamp Nature Park in Augusta, GA. Previously, I posted a photo of the armadillo standing on his hind legs, but I thought it would be interesting to post some additional shots of the armadillo in action. 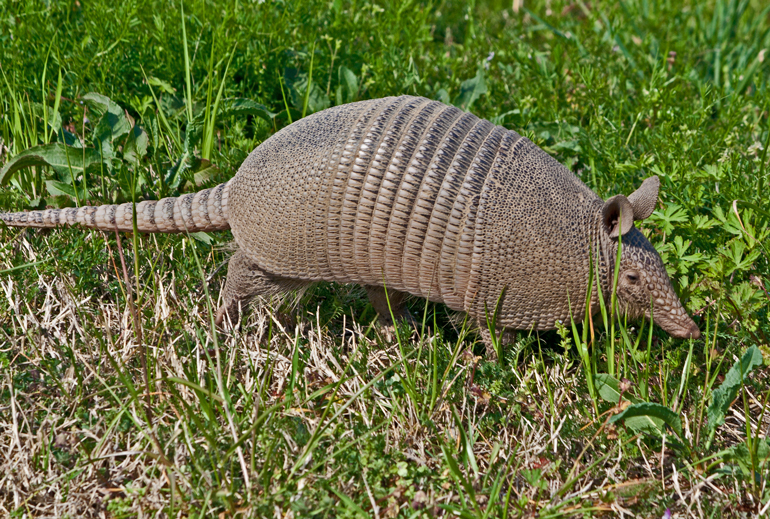 I grew up in New England, so the armadillo qualifies as an exotic animal for me, although there are probably folks in Texas and elsewhere that view armadillos as pests. I am completely fascinated by the texture of his shell, particularly the tail, and tried to highlight it in the photos. 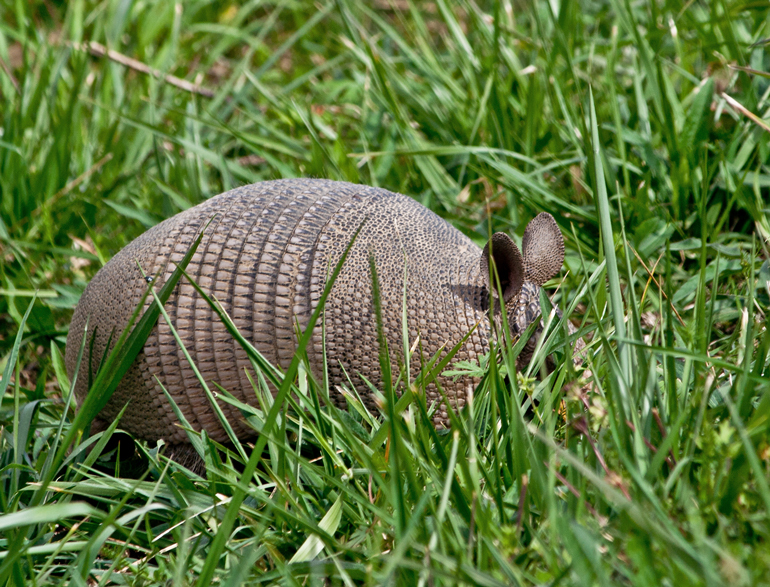 The armadillo spent most of its time rooting about in the grass and most often his head was not visible, which was a challenge for photos. 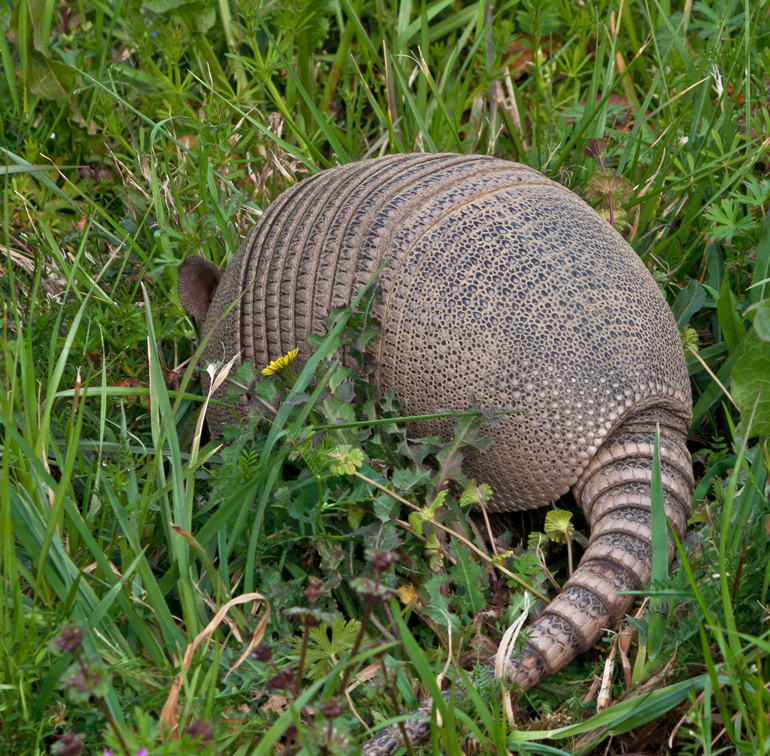 Even when I moved relatively close, the armadillo seemed so focused on what he was doing (or so near-sighted), that he paid no attention to me. I actually had two mini-encounters with him. The first time, he scurried pretty back to the swampy field from which he had emerged when he sensed my presence. I retreated from the immediate area and returned to find him in the same location. 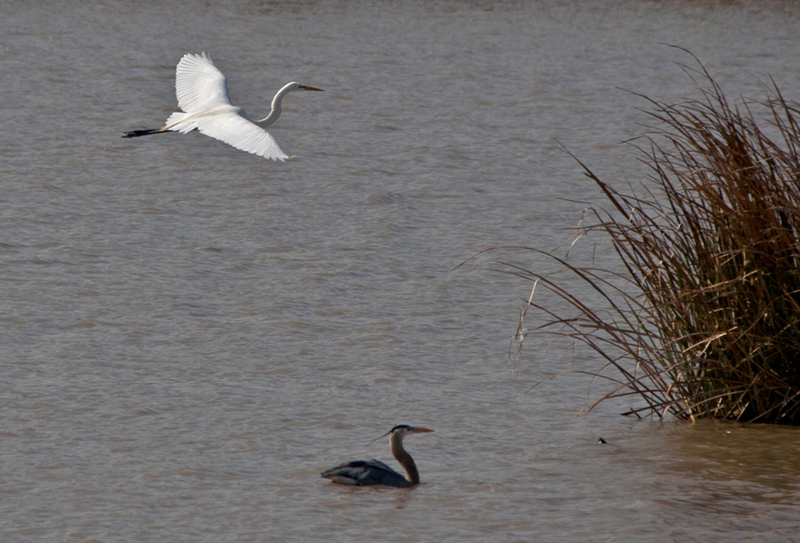 This time, after getting his fill of insects (or whatever else he was eating), he lumbered back to the swampy field. So far, there are no armadillos in my neighborhood in Northern Virginia, but Wikipedia notes the armadillo’s rapid expansion northward, primarily because of the lack of natural predators within the United States, little desire on the part of Americans to hunt or eat the armadillo, and the animals’ high reproductive rate. 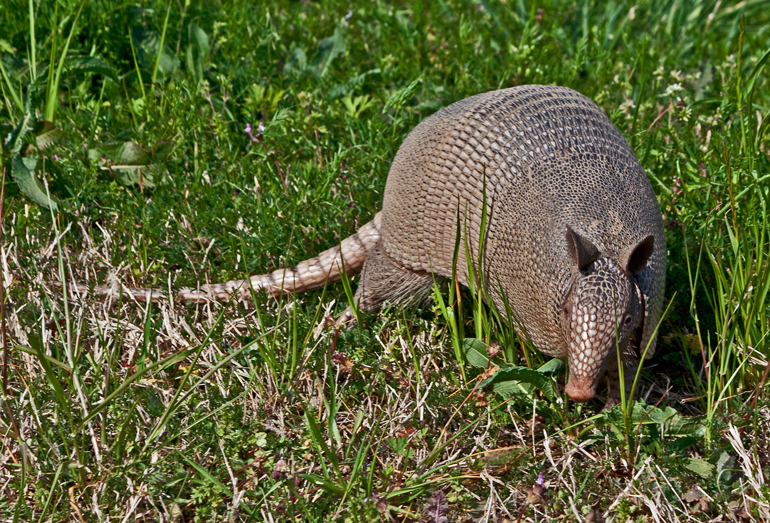 Eventually, armadillos are predicted to reach as far north as Ohio, Pennsylvania, and New Jersey. As I studied up a bit on armadillos, I learned that armadillos can contract (and pass on) leprosy (yikes! ), so you won’t see me handling any armadillos. Additionally, Nine-banded Armadillos have an unusual reproductive system, in which four genetically identical offspring are born, the only mammals in which polyembryony is reliably manifested, according to Wikipedia. This trait makes them particularly suited for certain types of scientific and medical tests that need consistent biological and genetic makeup in the test subjects. A fellow photographer informed me this past weekend that the little bird that I was preparing to photograph was not a Black-capped Chickadee—it was a Carolina Chickadee. I am a neophyte when it comes to bird identification, but I confess to being confused. I have been trying to photograph this bird for months and have been calling it a Black-capped Chickadee (Poecile atricapillus) in my postings. To my eyes, it looked like the photographs I’ve seen others post of the Black-eyed Chickadee. I turned to the Cornell Lab of Ornithology website, my favorite resource for bird identification, to try to resolved this conundrum. 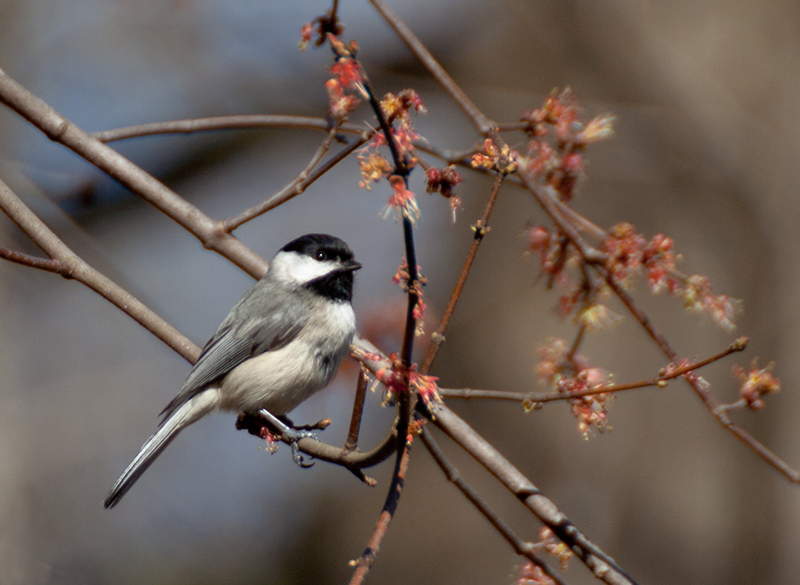 The site confirmed that the Black-capped Chickadee and the Carolina Chickadee (Poecile carolinensis) look a lot alike, but the two species probably diverged more than 250,000 years ago. There are some differences between the two in the edging of the wings and the bib and the songs are different too, but apparently the range is one of the most critical factors, since the ranges of these two species don’t overlap much. I appear to be within the range of the Carolina Chickadee, but Virginia seems to be near the northernmost edge of the range, so I can’t exclude the possibility that I will run into a Black-capped Chickadee. 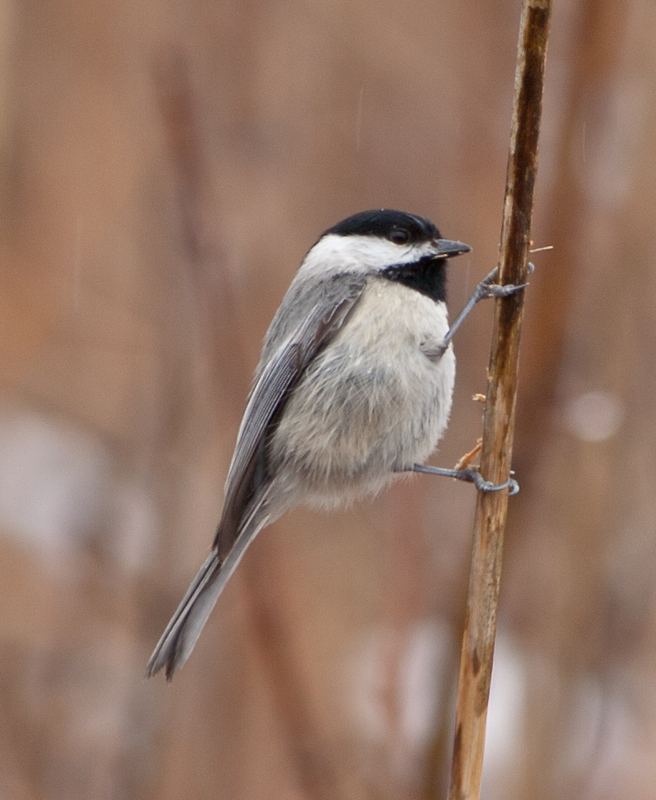 Here are a couple of my favorite chickadee photos. 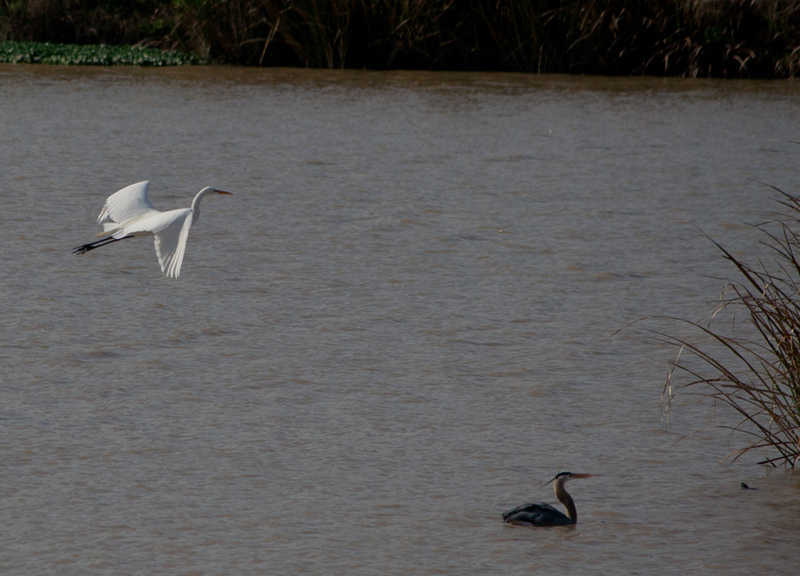 The first one was taken a couple of weeks ago with my recently acquired 135-400mm lens. It did a pretty good job in capturing some of the details of the chickadee in the tree. 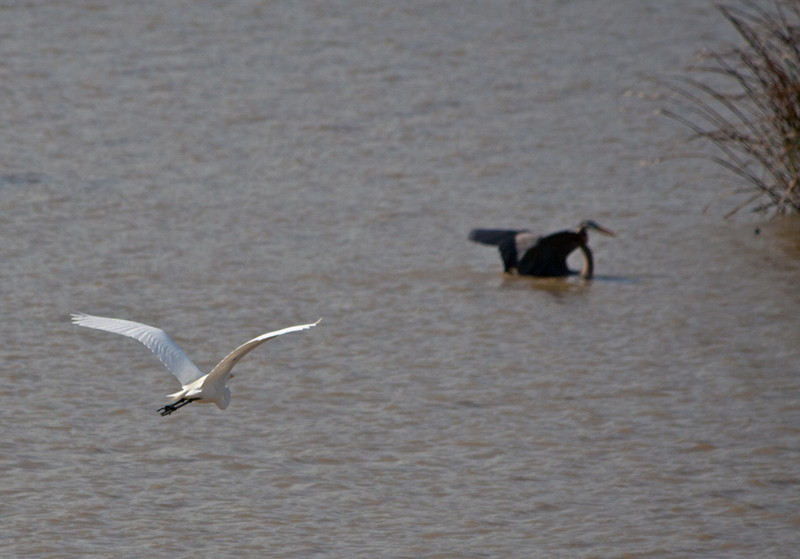 The second one was taken this past Monday with my 55-250mm lens. I managed to get a little closer to the chickadee that was clutching a stalk in the cattail field and was able to isolate the background a little. I got started watching and photographing birds this past fall, probably after many birds had left the area. I can’t wait to see what new ones (for me) show up this spring.